Dogs are a man’s best friend. It’s been that way for as long as anyone can remember, so it’s not a surprise that there are some famous pooches out there. For fun, let’s take a look at some of the most well-recognized dogs out there, both real and ones we wish were real. Hugh Jackman caused a bit of a stir when he was photographed parading his French bulldog, Dali, around. How cute is this? Are you more of an Ian Somerhalder fan? Don’t worry, you’re in luck: as if he weren’t attractive enough, this Vampire Diaries actor posed for some pictures with celebrity-in-his-own-right Uggie, who starred in the Oscar-winning film The Artist. What about Ryan Gosling? He noted that his pooch, who sports a silly, Mohawk-esque haircut, acts unruly when he doesn’t have that particular coif. 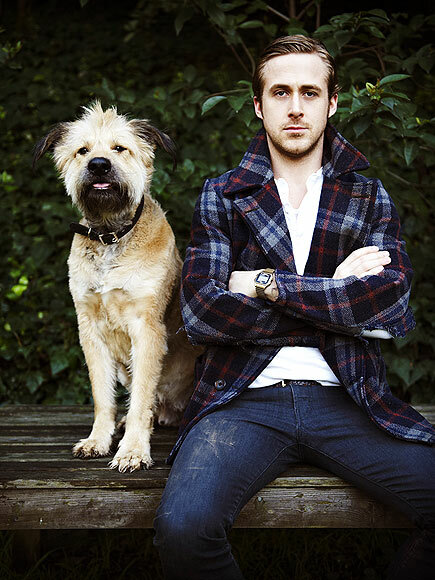 The Notebook star tried to grow it out, and the dog misbehaved so much that R. Gos was forced to shave the style back in. Paris Hilton, of course, famously owned a tiny dog named Tinkerbell, a Chihuahua. Some say she was what helped launch Chihuahuas and other purse-sized dogs into popularity. Jessica Alba has been photographed with her pug many times, seemingly showing a trend of female celebs liking smaller dogs. Khloe Kardashian notably had custody issues with a dog following her divorce from Lamar Odom. The couple had a boxer, named for boxer Bernard Hopkins, and after their split, battled it out for who got to keep the prized pooch. Who is your favorite famous dog? Let us know in the comments!